Ex ‘Australian Idol’ finalist Rocky Loprevite has formed what is fast becoming one of Australia’s most sought after corporate acts: ‘Sir Duke’. The band’s unparalleled experience, and their versatility of repertoire, prevents comparison with any other act. From classic hits to contemporary top forty, Sir Duke will effortlessly set the mood for your event, whatever your requirements; hot 60’s, funk and disco 70’s, rocking 80’s, classic 90’s right through to the most current pop/dance hits of today. With a widespread reputation for being a powerhouse of energy, Sir Duke is known for keeping the dance floor full all night long. 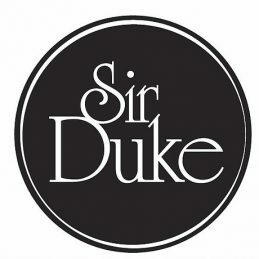 Sir Duke can perform as an 8 piece right through to a a massive 12 piece band featuring brass & multiple vocalists. In the last 17 years Rocky Loprevite has forged his way through the Australian music scene, leaving a powerful impression wherever he performs. His superb vocals and his absolute professional demeanor have led to him being booked to support some of Australia’s most respected performers: from John Farnham and Olivia Newton-John, through to Vanessa Amorosi, and Guy Sebastian. He has also performed alongside such luminary acts as INXS, CDB and Crowded House. Further, he has been booked to perform – time and again – as a solo act on live television, (Sunrise and Good Morning Australia, for example) and at major arena events, including Melbourne’s Carols by Candlelight, The Royal Children’s Hospital Good Friday Appeal, Sydney’s Drought Relief and The Bali Bombings charity event. Rocky has even performed our national anthem for the NRL rugby final and for then Prime Minister, John Howard, at the Australian of the Year awards. In 2005 Rocky was a finalist on Australian Idol, where he got to work alongside then musical director John Foreman. Most recently Rocky has performed regularly with Anthony Callea at several venues throughout Australia, which included a George Michael tribute concert and a Christmas show with special guest Rhonda Burchmore. In 2015 Rocky was asked to join the Chong Lim Orchestra as one of the main vocalists on channel 7’s Dancing with the Stars, where he sang alongside Tina Arena and Mick Hucknall from Simply Red.